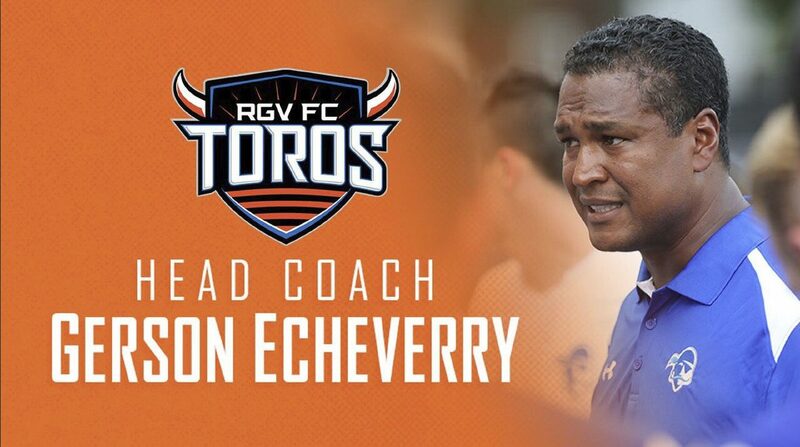 HOUSTON — The Houston Dynamo have appointed Gerson Echeverry as the head coach of the Rio Grande Valley FC Toros, the club’s hybrid USL affiliate, the club announced today. Echeverry has served as head coach of Seton Hall Pirates men’s soccer program for the past five years. Prior to Seton Hall, the 46-year-old was an assistant coach for the U.S. Soccer Federation Under-17 Youth National Team and residency program under current Dynamo head coach Wilmer Cabrera from 2008-11, evaluating prospects for the residency team and implementing training plans with an emphasis on developing attacking players. Echeverry also served as the head coach for the U-16 men’s national team in the Mondial Minimes International Tournament in Montague, France. Echeverry replaces Junior Gonzalez, who led RGV FC to a 9-15-8 record in his lone season with the club in 2017. Last month, Gonzalez was hired as an assistant coach with the MLS squad LA Galaxy. Echeverry was selected by the Dynamo technical staff, led by Jordan, Cabrera and Assistant General Manager Nick Kowba. The hybrid relationship between the Dynamo and RGV FC, in which the Dynamo control all aspects of soccer operations, including employment of the technical staff and player selection, while RGV FC manages the business side of the club, was unique in MLS when RGV FC was launched in 2016 and has quickly been emulated by multiple MLS clubs over the past two years. Echeverry’s coaching career began in 2002 as the top assistant coach for the Seton Hall men’s soccer program under legendary head coach Manfred Schellscheidt. During his tenure as an assistant coach, Seton Hall advanced to the BIG EAST Championship game in 2004 and earned three-straight NCAA Tournaments berths from 2003-05. As a player, Echeverry set himself as one of best players in Seton Hall history. The Paterson, N.J. native is a member of the Seton Hall Athletics Hall of Fame. He ranks third in school history with 32 assists and sixth with 41 goals. Echeverry was a member of the 1991 campaign, which is still considered as one of the best single-season performances in program history. That year, he finished the season third in the nation with 52 points while leading the team to the Big East Championship. Echeverry was named Most Outstanding Player of the Big East Championship, Big East Offensive Player of the Year and a Third-Team All-American. At the professional level, Echeverry played as a forward in Major League Soccer for the NY/NJ MetroStars and D.C. United, as well as for Cortuluá in Colombia’s Categoria Primera A (first division). Echeverry graduated from Seton Hall in 1994 with a Bachelor of Arts, communication and media studies and is fluent in Spanish. RGV FC finished the 2017 season with a 9-15-8 record in the USL Western Conference. Seven players from RGV squad saw time with the Dynamo first team during the 2017 campaign, and three players made the Dynamo first team roster this year after spending the 2016 season with the Toros.